Are you looking for practical, how-to solutions to life’s personal challenges? 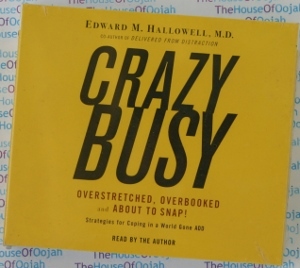 Best selling author, Dr. Ned Hallowell offers groundbreaking advice on how to survive in an ultra-competitive, ultra fast, attention deficit society while remaining sane, how to raise happy children, the art of forgiveness and how to manage worry. He also offers a prescriptive guide that shows how to get the most out of life with Attention Deficit Disorder. Dr. Hallowell is a highly recognized speaker around the world. He has presented to thousands on topics such as ADD, strategies on handling your fast-pace life, the Childhood Roots of Adult Happiness and other pertinent family and health issues. He has been prominently featured in the media, including 20/20, Oprah, CNN, PBS and NPR as well as 60 Minutes, The Today Show, Dateline, Good Morning America, US News and World Report, Newsweek, the Harvard Business Review and the New York Times. Dr. Hallowell lives in the Boston area with his wife, Sue, a social worker, and their three children.